This topic has been blogged about lots and lots but I thought I would mix a little university background in there. It is now (and has been for sometime) possible to completely ignore flash and instead use native web browser technologies. Sure there are a couple exceptions with the more advanced features for flash but I am sure by the end of 2012 flash will be gone – completely. Is this sad? Kind of. I learned flash relatively recently at university (2008). Yes that is right. I took a paper that taught adobe flash and action script 3 less than four years ago. The same paper has since shifted its focus more onto web design. The sad part is that these skills are now useless. That is the way practical computer science works though right? You learn something and then keep on adapting and updating as new technologies emerge. Flash was cool. It worked, and you could make cool visualisations, animations and applications. But why! Why do we need this extra tool grafted onto something that is purely capable of handling this itself? Well we no longer do. HTML5 is here and in its pure and native form it can handle rich and interactive web applications. We still see some people (from adobe) sticking up for their software but the fact of the matter is that with the existence of tools now to convert flash files to pure HTML5. Tools like swifty by google and intelligent and bold moves by apple to cut support for flash on their mobile devices WILL spell the end of flash. 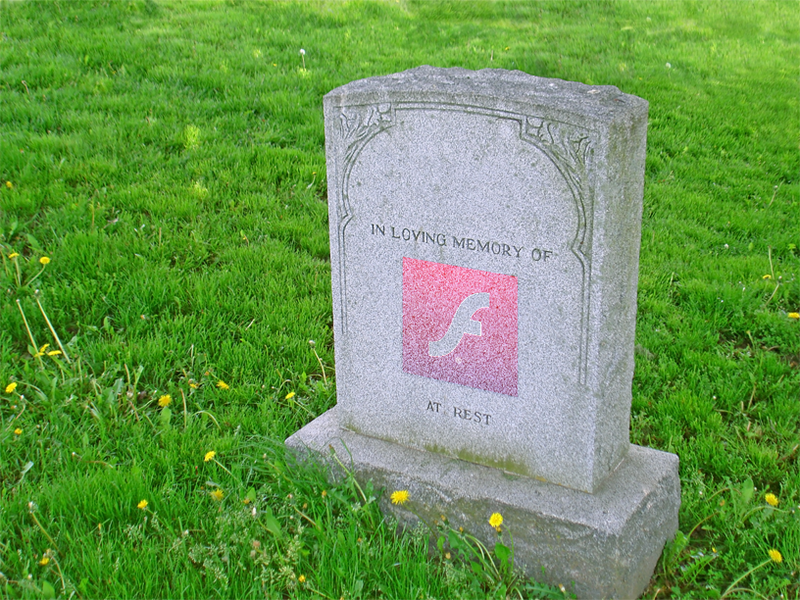 RIP Flash. You had your time.